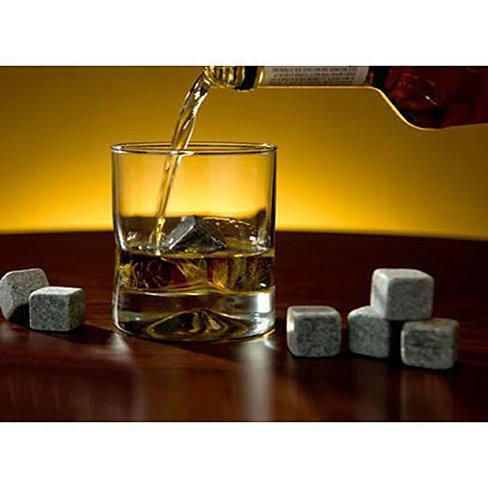 Whiskey on ROCKS A true way to enjoy your whiskey or any drink with pure soapstone rocks that can be frozen and replaced instead of ice. 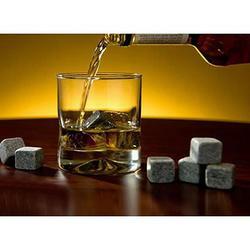 Ice normally waters down your drink this rocks will chill your drink but keep the original taste intact. The set includes 9 cubes of stones in a pouch.